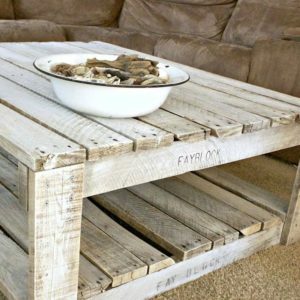 Wood pallets are a great, sometimes even free, material to use for your DIY and craft projects, and you can transform their look just by painting them. 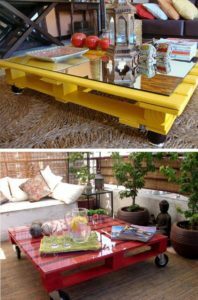 Here are some tips on things to be aware of before you start working with and painting pallets for interior home use. 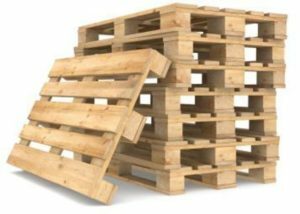 You may not want to use the pallet if it shows signs of being loaded with bacteria or dangerous contaminants. If the pallet has been kiln dried it will be marked with an HT for heat treated, which is safer than those not kiln dried. 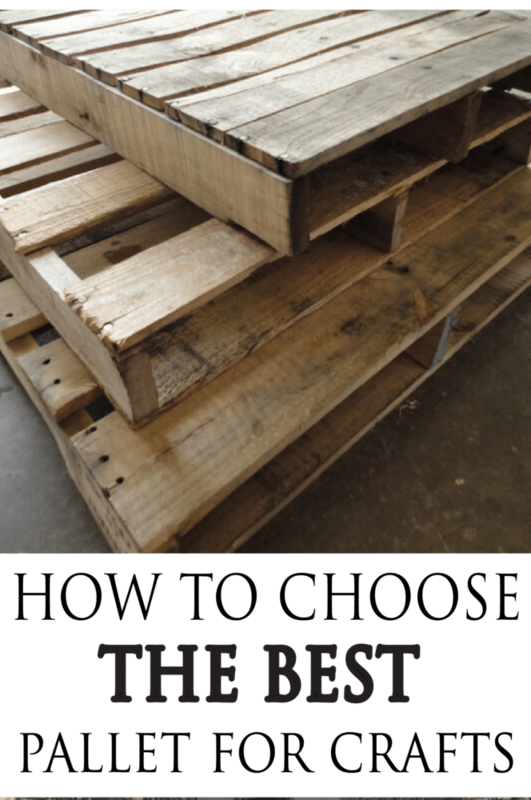 Once you have decided that your pallet is safe to use, move ahead and start to work. 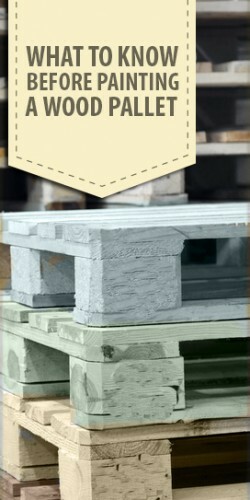 Once your pallet has been disassembled and is ready for paint, make sure to remove nails, etc. I would recommend using an electric sander for this portion. Pallets are rough and to avoid splinters and backbreaking work, I would recommend using an orbital or mouse sander. Sand the pallet completely and remove all the dust with a damp washcloth. You can also use TSP, but I usually just use a damp washcloth. Clean the wood thoroughly to make sure the paint will adhere to the wood. 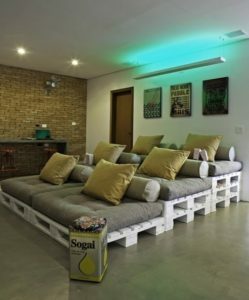 Since pallets are likely to be porous, that can give your paint job a very uneven finish. I would recommend priming your wood before painting. If you are going for a rustic, aged look, then, you could probably get away with skipping the primer. The paint will likely adhere fine to the pallet unless the wood is oily, but if it is dry and porous, paint should adhere fine, especially if it has been sanded well. Primer would just help give your paint job an even finish. Once you have sanded, cleaned and primed you are ready to paint your creation. 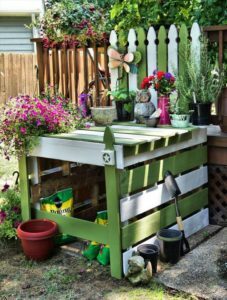 Here is a bit of inspiration on your next pallet project. I wish you the best success on paint pallets!